The UN’s Special Representative for Children and Armed Conflict, Leila Zerrougi, just briefed the UN Security Council. She told the Council that up to 700 children have been killed or maimed in Iraq this year – some in summary executions. She talked about the Islamic State group specifically targeting children, asking them to carry weapons, and using them as suicide bombers. She noted that the UN has also received reports that the Iraqi government-allied militias also use children in the fight against the IS. Iran's oil minister has said the fighting between Iraqi troops and Islamic State group will delay the planned start of natural gas exports to neighbouring Iraq. Bijan Zanganeh is quoted on the ministry's official website on Wednesday as saying that the "upheaval in Iraq is postponing the exports." The pipeline, which is still under construction on the Iraqi side, goes partly through territory controlled by the Islamic State group. Pipeline workers, mainly Iranians, have come under attack several times, especially in Diyala province, which has disrupted work. It's unclear when the new gas pipeline will be finished or when it will go on line. Kurdish ties to Iraq continue to thin out, as more and more younger Kurds yearn for independence. Reports reaching Al Jazeera said that US Secretary of State John Kerry will head to northern Iraq to meet the Kurdish leadership, after his meeting with Prime Minister Haider al-Abbadi in Baghdad. Military sources also told Al Jazeera that Kerry is expected to discuss "broad outlines" of the plan against the Islamic State, including training of Iraqi forces backed by a Sunni tribal component focusing on holding territory once it is recaptured. Al Jazeera has learned that Islamic State fighters have attacked south of Tikrit and killed at least eight armed volunteeers in the area. More details will follow as soon as Al Jazeera gets more details. Three car bombs exploded in a Shia neighbourhood in eastern Baghdad, killing at least nine people and wounding 29 others, a police officer said. 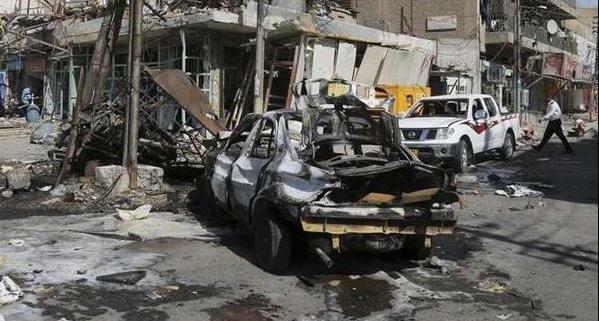 Reports say that the death toll in the three car bombs in the Iraqi capital Baghdad has gone up to 15. More details to follow. The US president has adamantly ruled out the prospect of putting American troops in combat roles on the ground in Iraq or Syria. "President Obama is trying to send a message to the public that this is not another full-blown war. US officials are making a concerted effort to say 'this is like Yemen and Somalia'," Al Jazeera's Patty Culhane, reporting from the White House, said. "Whether in fact it will be like Yemen and Somalia remains to be seen. In those countries, there have been mostly unpublicised, targeted, very occasional drone strikes,” she said. "What the President is talking about now is a constant series of air strikes and a much deeper involvement with Iraq and Syria. Culhane said it is expected that the air strikes in Iraq will expand dramatically against Islamic State group targets. When it comes to Syria, officials told Al Jazeera that launching strikes there may take place sometime the future. They did not expect them to be immediate. "I think the goal is to push the Islamic State group up towards the Syrian borders and then the president reserves the right to hit them in Syria," Culhane said. 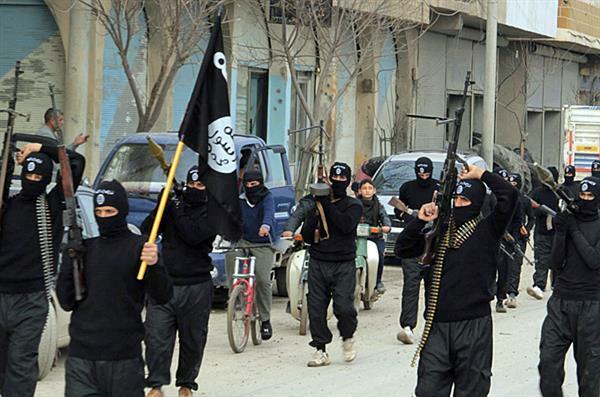 The Islamic State group has taken control of large parts of Iraq and Syria. The group's brutal campaign has included beheadings of rivals and killings of hundreds of members of Iraq's minorities. US President Barack Obama has authorised air strikes against Islamic State group targets inside Syria for the first time, pledging to destroy its fighters "wherever they exist". Al Jazeera's Patty Culhane reports from Washington DC, and Imran Khan reports from Baghdad on the Iraqi reaction. The French Presidential Office has announced that Paris would host an international conference on Iraq to be held next Monday. The statement released on Thursday said that prior to conference, French President Francois Hollande will be visiting Baghdad on Friday. 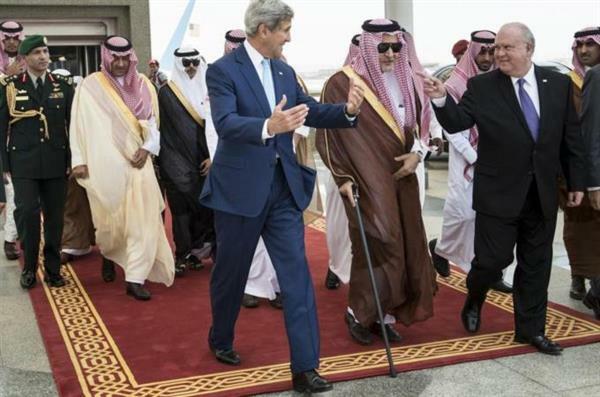 Ten Arab countries agree to rally behind Washington in fight against Islamic State fighters following meeting in Jeddah. Islamic State in Iraq and Syria now have about 20,000 to 31,500 members on the ground, US intelligence agency says. German authorities have banned all activity on behalf of the Islamic State extremist group, including the distribution of propaganda material and the display of its symbols. Interior Minister Thomas de Maiziere said in a statement the group represents a ``threat to public security in Germany'' and its recruitment efforts need to be stopped. Security agencies estimate at least 400 people from Germany have joined the Islamic State group and similar organizations. The Westdeutsche Allgemeine Zeitung newspaper reported this week that a German citizen identified only as Silvio K. had published a video threatening attacks against Germany because of the country's support for Kurds fighting the Islamic State group. US Secretary of State John Kerry arrived in Ankara Friday for talks aimed at building a coalition against Islamic State fighters, a visit that comes after Turkey refused to allow the use of its air bases for launching attacks on the extremists. The top US diplomat, touring the Middle East to establish a coalition of more than 40 countries, is to meet with Turkey's leaders including President Recep Tayyip Erdogan for talks on measures to defeat the militants in Iraq and Syria. President Hollande said that France has delivered four arms shipments and 66 tons of humanitarian aid to Iraq. Four Iraqi's were killed and 15 have been injured on Friday in a car bomb blast in Baghdad Al Jadidah district, eastern Baghdad. 14 people were killed and injured on Friday when two bombs went off in Baghdad's districts of Karrada and Zafaraniya. Meanwhile Haider Abadi , general commander of the Iraqi armed forces, announced the arrest of a criminal network responsible for the recent bombing in the capital and a number of provinces, stressing on activating the intelligence to eliminate terrorism. State fighters have seized swathes of territory, was necessary but would not be enough on its own to bring about political stability. Secretary of State John Kerry held talks in Egypt on Saturday on the latest leg of a regional tour aimed at forging a coalition for a US-led war on jihadists in Iraq and Syria. Egypt's formidable army is unlikely to take part in military action against the Islamic State fighters, but it has closely cooperated with the United States on counter-terrorism. The secretary of Iran's Supreme National Security Council accused the United States on Saturday of violating the sovereignty of nations on the "pretext of fighting terrorism" in Iraq and Syria. "On the pretext of fighting terrorism, the United States want to pursue their unilateral policies and violate the sovereignty of states," Ali Shamkhani said, quoted by the official IRNA news agency. On the other hand, the speaker of parliament, Ali Larijani, warned the US that launching strikes against Iran's ally Syria as part of its campaign against the fighters of the Islamic State group would be "playing with fire". Salim Al-Jaboury said on Saturday that the only condition mentioned for using air strikes was for it to be precise and to target positions of terrorists and ISIS which have been proven with absolute certainty that it is ISIS or terrorists. He also pointed this out while speaking to US Secretary of State John Kerry expressing that air strikes on Islamic State should not kill civilians, the speaker told Reuters News Agency in an interview. Fighters from Shiite group Mahdi Army and an Iraqi army unit say they have pushed back Islamic State fighters from the village of Albouhassan in Amerli region in Salahuddin province. Fawaz Gerges, Professor of Middle Eastern Politics at the London School of Economics, talks to Al Jazeera about the political and military implications of the killing of British national David Haines. He said with the attack, the British government is "hardly pressed to join the campaign" against the Islamic State group. He also warned that the armed rebel group would try to get as many Western hostages as possible. Prime Minister Tony Abbott has said Australia would deploy 600 troops to the United Arab Emirates to join the US-led international coalition gearing up for war against the Islamic State group. Abbott said the deployment of about "400 air personnel and about 200 military personnel" followed a formal request from Washington for Australia to contribute to the international coalition against the rampaging Islamist group. "Australia is prepared to engage in international operations to disrupt and degrade ISIL (IS) because of the threat that this murderous death cult poses not just to the people of Iraq, not just to the people of the Middle East, but to the whole world including to Australia." Abbott's announcement comes two days after Canberra lifted its terror alert level to "high" on growing concern about Australian jihadists returning from fighting in Iraq and Syria. Indonesia's anti-terrorism police have arrested four Turks and three Indonesians suspected of being linked to the Islamic State group. The elite Detachment 88 police squad arrested the men, along with three Indonesians, after tailing their car on Saturday in central Sulawesi district of Poso, police spokesman Boy Rafli Amar told the AFP news agency. "They are Turkish," Amar said, confirming the arrest and adding that the men were being investigated for their connection to the dreaded Islamist group. "We suspect they are linked and are investigating further," he said. The French interior ministry say around 930 French citizens or residents, including at least 60 women, are either actively engaged in jihad in Iraq and Syria or are planning to go there. In an interview with Le Journal de Dimanche weekly, Bernard Cazeneuve, said "930 French citizens or foreigners usually resident in France are today involved in jihad in Iraq and Syria." According to the minister, "350 are on the ground, including 60 women. Around 180 have left from Syria and 170 are en route for the zone." In addition, some 230 people are looking to head to areas held by jihadists. Added to this total of 930, an estimated 36 have already died out there, said Cazeneuve. Prominent Sunni Muslim scholar, Yusuf al-Qaradawi, has criticised the US's role in a campaign against the Islamic State group (IS) in Iraq and Syria as purely self-interested. Qatar-based Qaradawi, seen as a spiritual guide of the Muslim Brotherhood in his native Egypt, said on Saturday that he disagreed with the plan that "the one to fight it [IS] is America." "I totally disagree with Da'ish [Islamic State group] in ideology and means, but I don't at all accept that the one to fight it is America, which does not act in the name of Islam but rather in its own interests, even if blood is shed." The US won backing on Thursday for a "coordinated military campaign" against IS from 10 Arab countries - Egypt, Iraq, Jordan, Lebanon and six Gulf states including Saudi Arabia and Qatar. 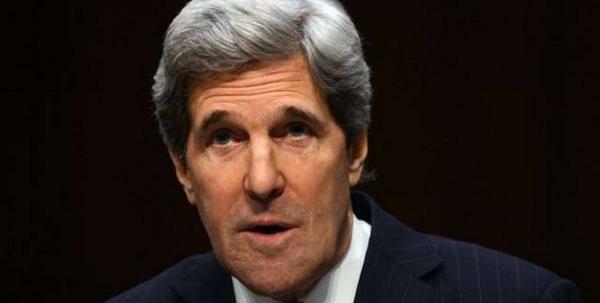 US Secretary of State John Kerry said he was "extremely encouraged" by pledges of military assistance against the Islamic State group by countries inside and outside the Middle East. On the CBS program 'Face the Nation,' Kerry said some countries have offered ground troops for the effort, but "we are not looking for that at this moment anyway." He did not identify the countries. "This is a strategy coming together as the coalition comes together and the countries declare what they are prepared to do," Kerry said in the interview taped on Saturday in Egypt. 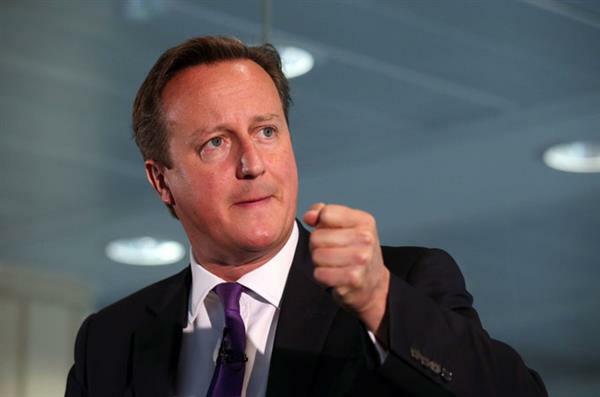 David Cameron vows to hunt down and bring to justice the IS fighters responsible for the killing of UK aid worker. Check out our top story on the Paris conference where 30 countries have gathered to discuss strategy against the Islamic State group. Austria says it plans to revoke the citizenship of people who travel abroad to fight with jihadists, amid calls to ban symbols of the group calling itself the Islamic State (IS), in a crackdown announced by conservative government ministers. Interior Minister Johanna Mikl-Leitner stressed a need for a zero-tolerance policy against jihadist sympathisers. Her ministry was working on legislation to revoke citizenship from "foreign fighters" and to prevent minors travelling outside the European Union without the consent of their guardians. "There is no place in our society for IS symbols on T-shirts and flags, so we want to ban IS symbols," she added. Justice Minister Wolfgang Brandstetter said the government would tighten hate crimes law so that people who urge violence against certain groups could be charged if their message reaches just 10 people instead of the current guideline of around 150. Police should also be able to get telephone and Internet usage data on suspects in serious cases as long as a judge approves, he said, adding, "Whoever sows hate and violence in Austria will reap prison." French planes have carried out their first reconnaissance flights over Iraq in support of the US-led campaign against the group calling itself the Islamic State (IS). An AFP correspondent saw two French Rafale fighter jets equipped with high-precision cameras take off from the Al-Dhafra base in the United Arab Emirates during a visit by French Defence Minister Jean-Yves Le Drian. Le Drian said his trip to the base "comes at a time of extreme seriousness" over the threat posed by IS. "We must be ready to intervene," he told French troops at the base. "France stands ready at a time that is decisive for its security - because it is also France's security that is threatened by this... pseudo-Islamic State," Le Drian said. The Defence Minister's visit came as Paris hosted an international conference on a fightback against militants of the Islamic State, who have seized swathes of Iraq and neighbouring Syria. Coalition of 30 countries vows to help Iraq fight the Islamic State of Iraq and the Levant 'by any means necessary'. 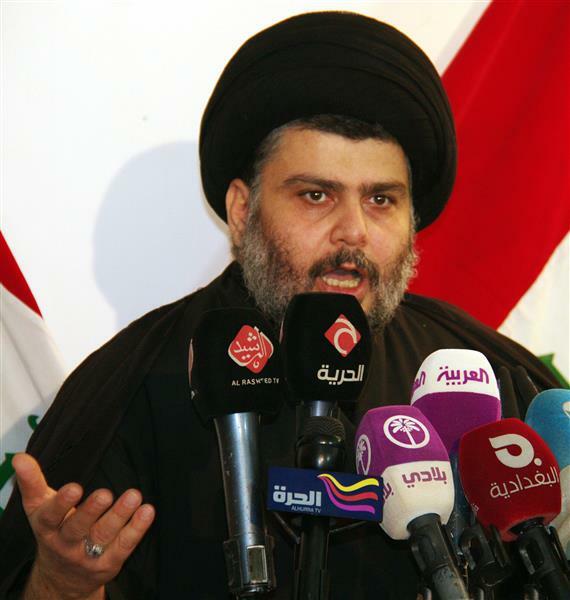 Iraqi Shia cleric Moqtada al-Sadr has threatened to target US forces if they return to Iraq. "The black house has decided to attack our Iraqi holy lands -- this decision is apparently based upon its regret to pull out superficially from Iraq in the first place. "I say to you (Americans) if you came back, we will come back to you and the victory will be for us." Sadr also warned the Iraqi government not to seek help from the US saying, "seeking the help from the oppressors, over the oppressed is forbidden. " The Iraqi parliament is due to debate who should fill two of the top jobs in the government of Prime Minister Haider al-Abbadi. The posts of defence and interior ministers are crucial in bringing about political stability in Iraq - and with it the unity needed for reconciliation after years of exclusionary policies. Abbadi is trying to overcome the distrust many Sunnis feel for the Shia-led central government in Baghdad. Al Jazeera's Imran Khan, reporting from Baghdad, said that a Sunni would likely get one of the two positions. Turkey's military is mulling the prospect of establishing a buffer zone along its border with Syria and Iraq amid an escalating threat posed by the Islamic State in Iraq and the Levant (ISIL) armed group, President Recep Tayyip Erdogan was quoted as saying. "The TSK (Turkish Armed Forces) are working on plans and will present them to us and we will decide if it is necessary," Erdogan was quoted as saying by the Hurriyet newspaper and other media, when asked about the possibility of a buffer zone being established. A government official confirmed that Turkey was devising plans for a buffer zone along the volatile border. "The general staff is carrying out inspections whether a buffer zone could be viable but there is nothing concrete yet," the official told AFP on condition of anonymity. Reports say Iraqi Prime Minister Haider al-Abaddi has selected final members of his Cabinet, including defense and interior ministers. More details to follow. Kurdish peshmerga forces recaptured seven Christian villages in northern Iraq in clashes with ISIL group, an officer and a cleric said. Tens of thousands of Iraqi Christians, most of them Chaldeans, fled their homes when ISIL fighters launched a renewed drive in the north in early August. Iraqi Prime Minister Haider al-Abbadi has said that foreign ground troops are "not necessary" in fight against the armed group Islamic State of Iraq and the Levant (ISIL). 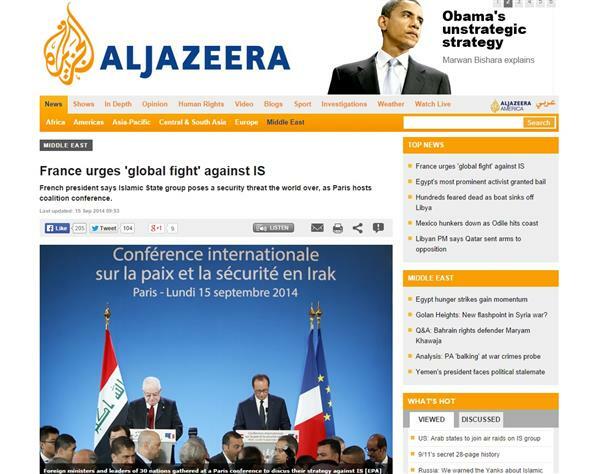 Abbadi also said that Iran's absence from Paris meeting on fighting ISIL is "puzzling."